And a more topographical style map showing the terrain. 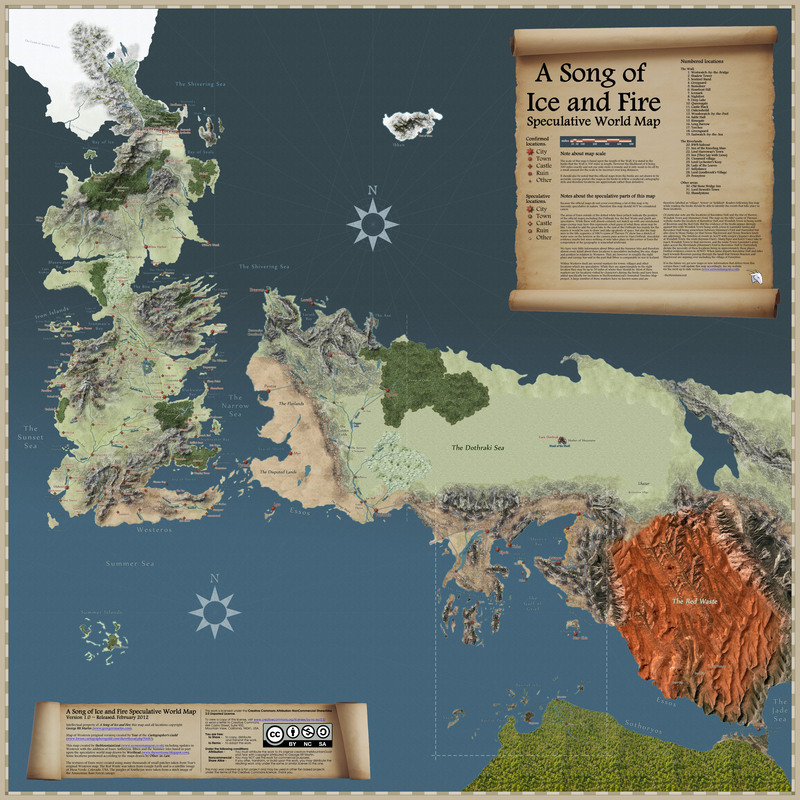 And an even larger map showing the eastern lands and far off territories. a note on scale: it is 100 miles from Deepwood Motte to Winterfell.